comfortable sounds reverberate around the Agena’s residential area in Uruma City. The source of the noise is “Rankarafu Workshop”. 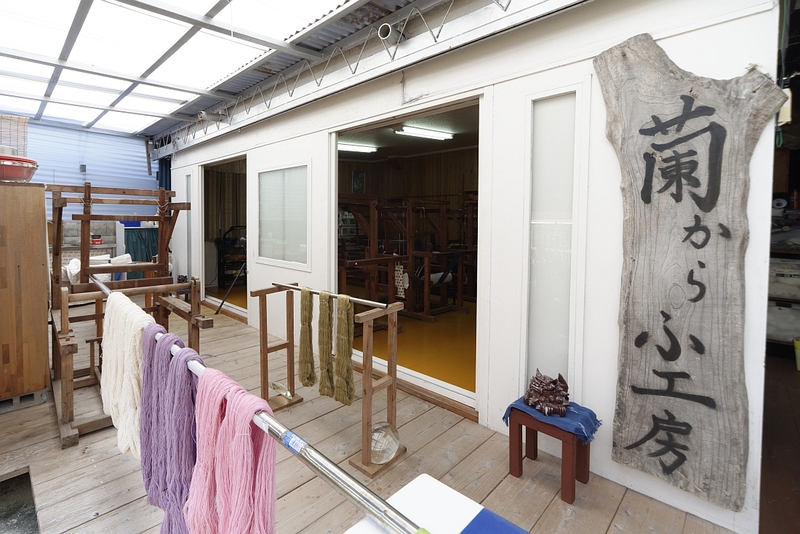 the owner sells her handwoven cotten kimono belts, tapestries, and other items. Inside the workshop are several old wooden weaving machines. Their sounds of “smack, tap tap, shhhhh…” fill the room. This symphony played by human and wood has a warm, relaxing tone. 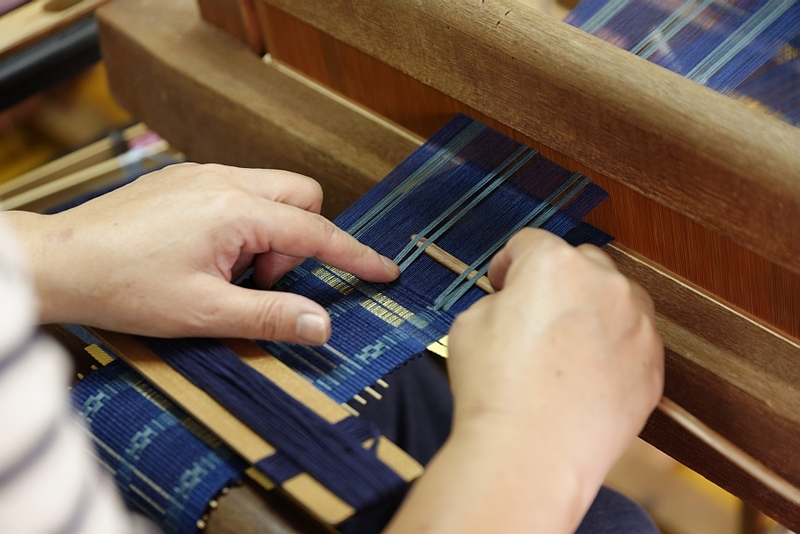 that were part of an effort to revitalize the art of hand weaving. 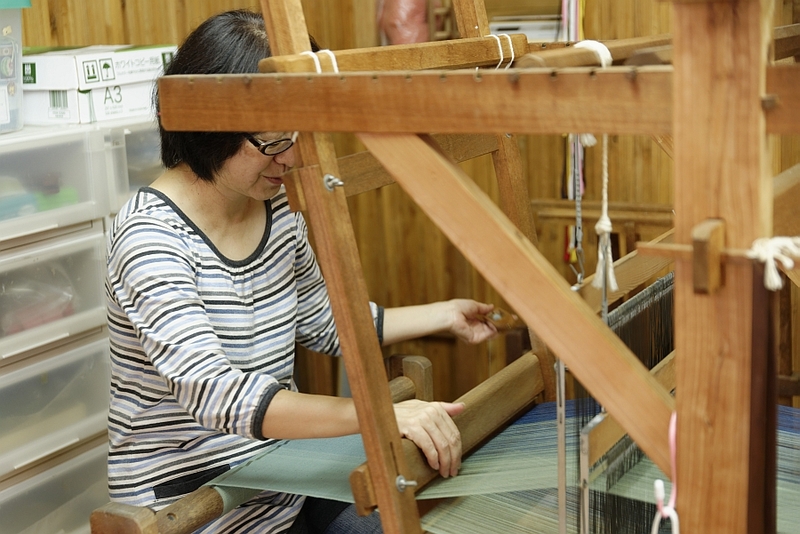 Surprisingly, most of the women had never practiced hand weaving before. Now, 20 years later, they are all veteran weavers. First, we’ll explain how the fabric is made. The process begins with dying and drying the thread. and wrapped around the wooden frame and arranged in the desired design. and finally the thread is ready for weaving. extreme patience and perseverence is required. 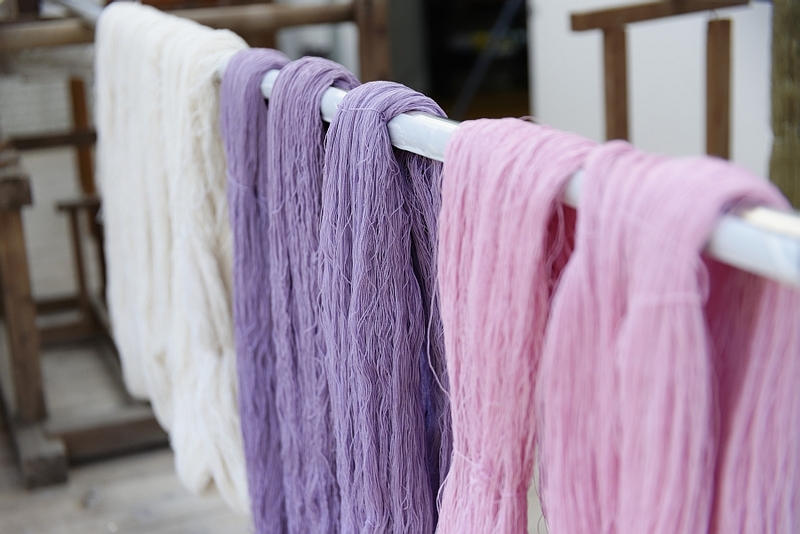 Now that the preparation is done, it’s time to start weaving. 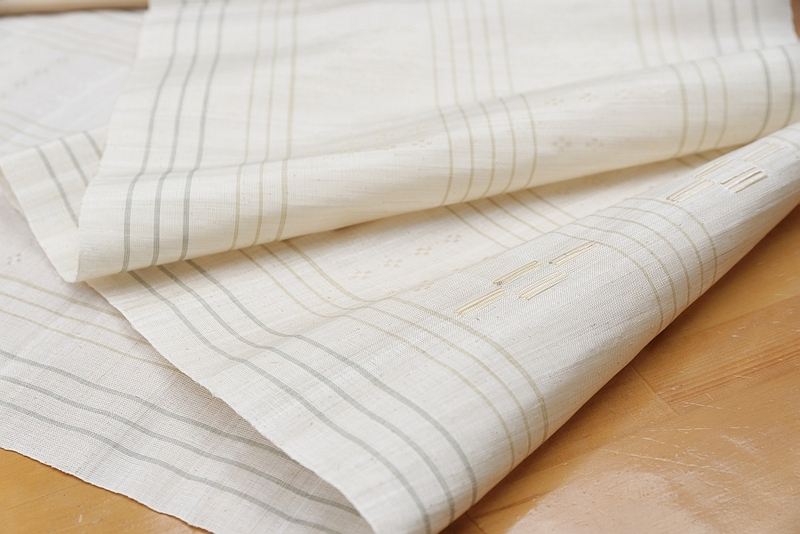 The fabric is calmly, carefully, and very slowly woven with love. warm feeling about it that you can only come find in handwoven fabric. technique, arranging yarn floating water into beautiful flower patterns one by one. 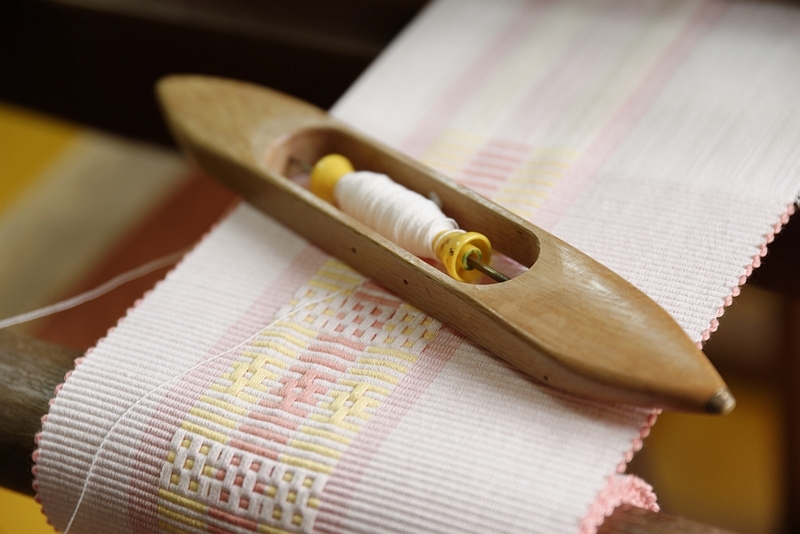 and the different patterns and looks of the fabric is part of what makes handwoven fabric so special. Just like at art museums, you’re sure to find a piece that speaks to you. and fabric made from rice grass. 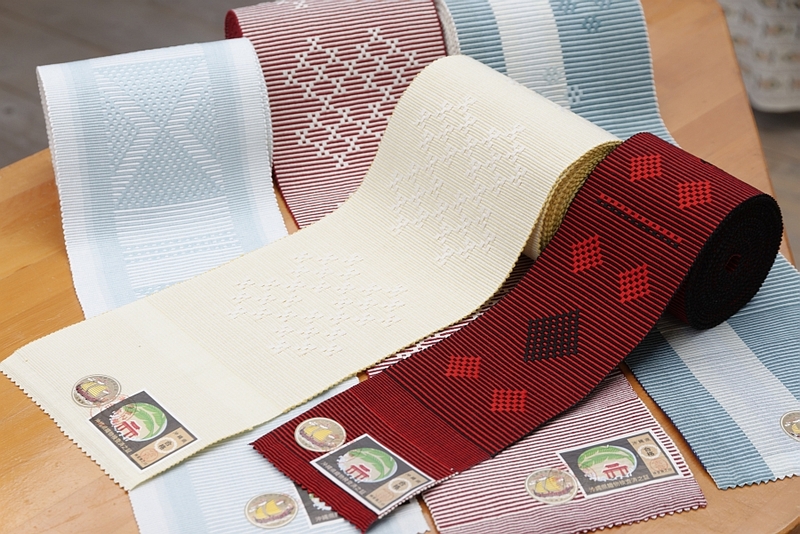 Their guushihanaui obi all have a unique, one of a kind flower pattern. 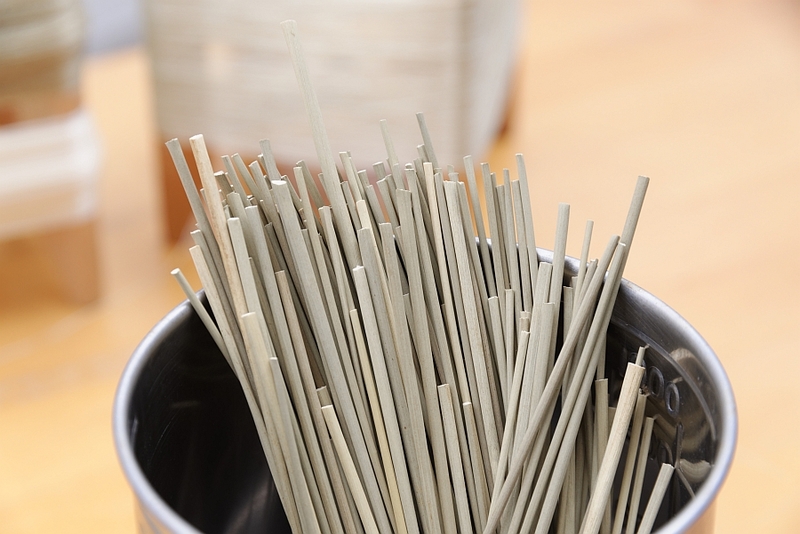 They’re a very popular item, recieving orders from all across Japan. 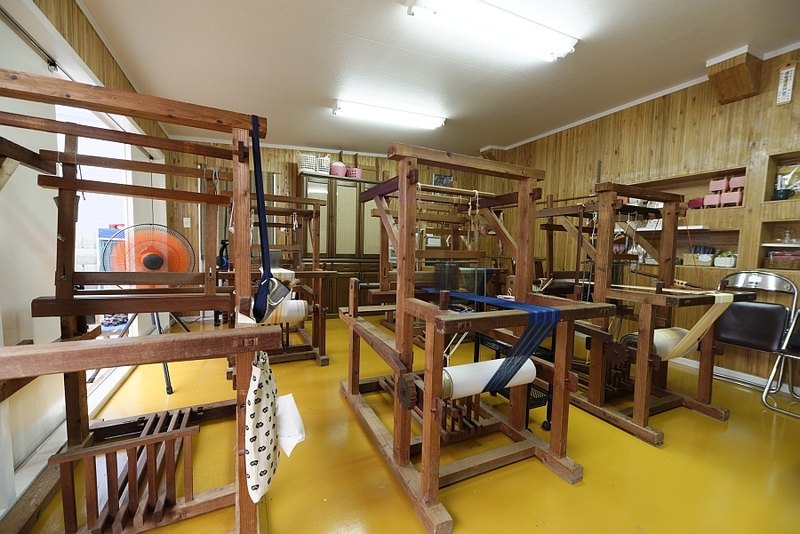 The workshop’s name “Rankarafu” means “to create cloth from orchids. and visitors can listen to the weavers explain the long process needed to make this beautiful fabric. 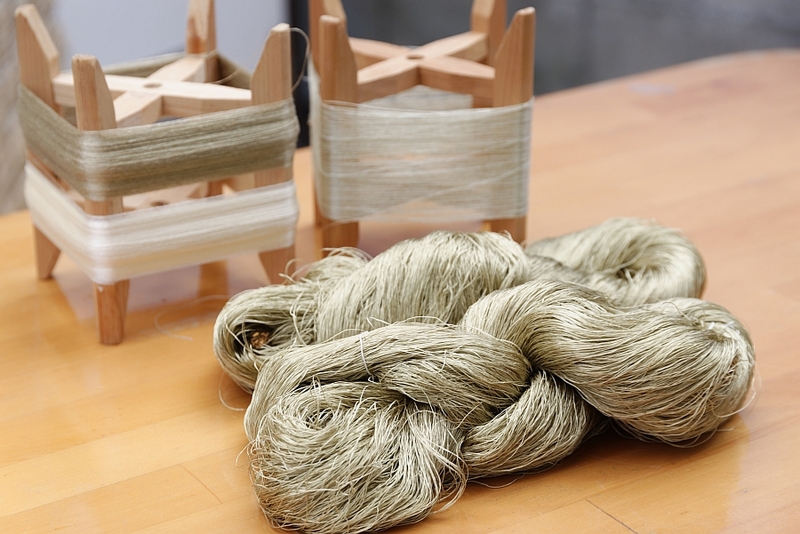 By weaving the dried, hard grass together the weavers create a soft but firm fabric that will keep its shape. and have become popular with tourists as well. 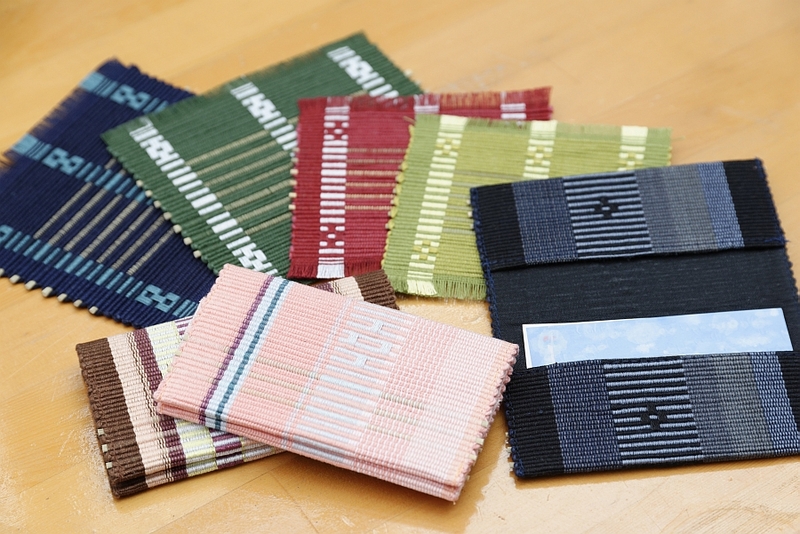 Shown here are card cases and coasters made from woven rice grass. head on over and investigate. 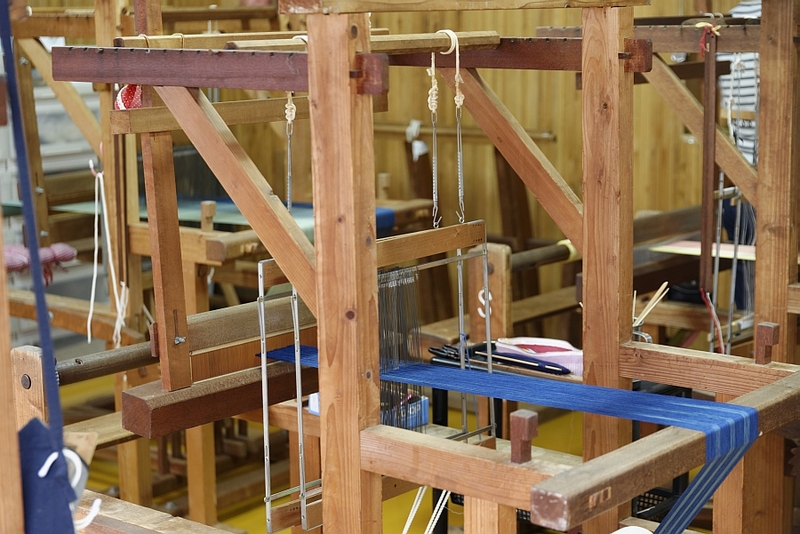 art of handweaving await you.